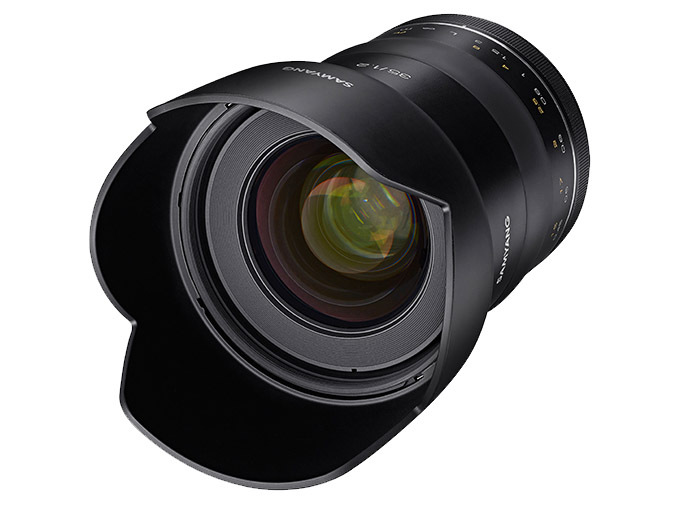 ROKINON (Samyang) has just officially announced its new XP 35mm f/1.2 Full Frame Lens for Canon EF mount. This manual focus lens joins Samyang’s XP 14mm F2.4, XP 50mm F1.2 and XP 85mm F1.2 lenses to round out its ‘XPert’ lens lineup. This premium quality prime lens yields extraordinary image quality for 50-megapixel photos and 8K (8192 x 4320) video productions. It features a moderately wide angle of view with Full Frame Canon DSLRs and works as a “normal” lens with APS-C sensor models. Delivering superb optical performance even wide open, the impressively bright f/1.2 aperture and nine blade diaphragm provide selective focus control, beautiful bokeh, and starburst effects. It is a perfect lens choice for capturing a broad range of subjects in vivid colors and exceptional high-resolution images such as nightscapes, portraits, architecture, and anything in difficult lighting conditions. The optical design of the ROKINON SP 35mm F1.2 boasts 12 elements in 10 groups and incorporates Extra-Low Dispersion, Aspherical and High Refractive lens components to ensure impressive image quality. Constructed of high-quality aluminum alloy with an ergonomically designed shape and focusing control/grip, it delivers a luxurious look, excellent durability and comfortable use Additional features include an intuitive, damped and precise manual focus control, Canon’s exposure control modes are enabled, EXIF info is registered, and a non-rotating filter mount. ROKINON SP 35mm F1.2 Full Frame High Speed for Canon EF mount will be available in January 2019 with an MSRP of $999.00. Currently, there are three XP manual prime lenses on the market. Samyang XP 35mm F1.2 Lens to be Announced Soon!